Ouachita Parish Sheriff’s Investigators has identified and located suspect, Christopher Perez, after doing a series of vehicle burglaries that occurred in the Avant Road, Country Estates Road and Sadie Lane areas of West Monroe. Photos of Perez were identified on a surveillance camera at the location of the crime. 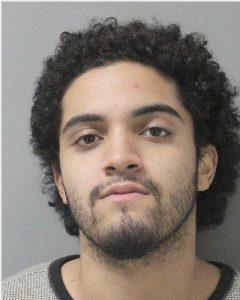 Monroe has led to the arrest of Christopher Perez, age 20, of West Monroe. He is currently being held in OCC on 1 count of Vehicle Burglary and 6 counts of Identity Theft. The investigation is continuing, more charges are pending and more arrests are expected.